UPDATE: And just like that, we have more information on the Shulk amiibo. GameStop has listed the figure as a GameStop Exclusive. You know of the first wave of amiibo figures that will be coming alongside Super Smash Bros. for Wii U. Those will be Mario, Link, Marth, Donkey Kong, Princess Peach, Wii Fit Trainer, Samus, Yoshi, Pikachu, Fox, The Villager, and Kirby. Then, there is the second wave that you know is coming that will include Little Mac, Zelda, Diddy Kong, Luigi, Captain Falcon, and Pit. And then there is the third wave that Nintendo has just announced. This next group will include Toon Link, Sheik, Ike, Shulk, Lucario, Meta Knight, King Dedede, Rosalina and Luma, Bowser, Sonic the Hedgehog, and Mega Man. All total, this new wave of amiibos will bring the total number up to 29. Nintendo has also announced that some of these will be exclusive to certain retailers, but wouldn’t mention which ones yet. We’ll let you know when those details are announced. 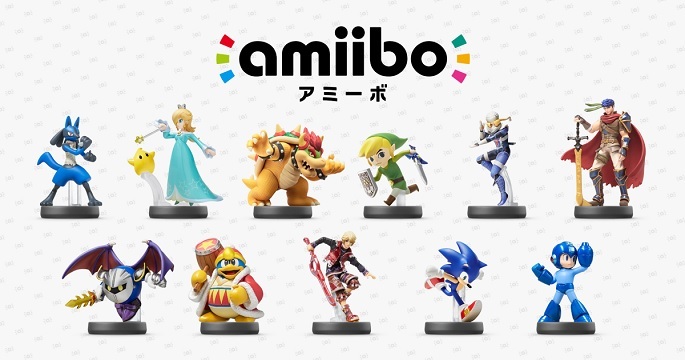 The third wave of amiibos are expected to launch in February 2015. Check out the trailer for this new wave as well as images of the new amiibos. Previous Post:REVIEW: Arcana Heart 3: Love Max!!!! !